After the school bell rings, our Club empowers young people to dream big and build their futures. 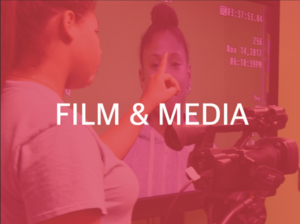 Each weekday afternoon, children run through our doors with wide smiles ready to storyboard their next film, taste-test a new recipe in our gourmet cooking program, or dive into a hands-on STEM experiment in our science lab. Our after school program sparks young people's curiosity and supports them to succeed in school, build interpersonal bonds and develop confidence. Whether your child loves coding and science or sports and the arts, the Club offers after school programs in Long Island City, Astoria & Woodside that appeal to the unique curiosity of each and every participant. The Club promotes healthy living through open swim activities and kayaking in our indoor pool. From theater to dance to painting, we have something to inspire every child and foster their creativity. Featuring 3D printers, laser cutters and computers to support coding, robotics, product design & more. The Club partners with a fully-equipped science lab to teach biology & earth science. We encourage physical activity through a wide range of sports and daily fitness exercises. Your child will envision, create & share through photography & video production activities. 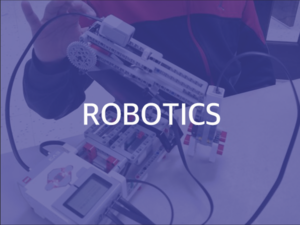 Give your child the chance to explore, build and innovate with our robotics class. From chopping & mixing to sautéing & baking, our teaching kitchen is the perfect place for your budding chef.